After a long wait, due to a mix up on the date when the product was actually released, I finally received my prize from the raffle held in February this year, a new HP scanner, the ScanJet 5200C. As you can see from the table below, the scanner can plug into your USB or parallel port. It does not have a power switch, but instead goes into a standby mode after fifteen minutes. The only button on the machine activates the scanning software when pressed, but loading the software was the first problem. As I was using the USB port, I plugged the scanner in, and Windows 98 detected it. I then inserted the CD-ROM with the drivers included (I had a choice of either the French or English CD supplied) and let the software install. It managed to get to 93% before failing, so I then tried to install the software before plugging in the scanner, with the same results. I rang the technical support number to ask if there was a problem with the drivers, as there was no update or mention on their web page. I was told someone would look into it, but two days later I had heard nothing. I rang again and got through to a technical support person who suggested both ways of installing, and then said to install in 'safe mode'. This worked, but of course, in safe mode you do not have access to the CD-ROM drive, so I had to copy the entire contents of the CD (as it was not made clear what files were needed), re-boot into safe mode, install the software, and re-boot again. This was poor show for a new product, and checking the forum on the web site has revealed other users having the same problem. There is still no update available from Hewlett Packard for this problem. Also on the CD is Caere PageKeeper standard and Adobe PhotoFinish. The first is similar to Pagis Page Pro, as it stores copies of scanned documents with a viewer. The first time I ran the program it took several minutes to customise the application bar, which put shortcuts to programs it could open documents with. This included Wordpad, Word, Paint, Explorer, Netscape Navigator and Adobe Acrobat. This offered little to me as I tend to work with the client program and import from there. The Precision scan software includes a TWAIN driver which works in a slightly odd way. If you start the software (or press the scan button) you are limited to a few programs to send the scanned input to. This does not include Paint Shop Pro or Picture Publisher, the two graphic programs I use the most (it instead defaults to Microsoft's Imaging). If you run the program first and then select scan, then the input is imported as normal. The first window that appears gives a few options of viewing the page first, scanning in colour and the resolution. With these default options, the whole page is scanned (which is 6.5Mb at 150 dpi) and you then select the area to import into the graphics program. After a few moments of presumably self-adjusting, the image is scanned with a progress meter window on top of the previous window. When this is complete the preview window replaces this, but with the original Precision scan still in the background. This maybe quick to get to if you cancel the scan, but it looks very messy with upto three windows open on top of each other when scanning. The scanner interface with my SCSI Black Widow 4800SP was self contained and easier to use. The preview window has a duplicate of some of the options settings from the first window, so you can scan in, for example, 150 dpi, select the area you want, and increase the dpi to something higher for better detail. The software warns that this may result in a large file size, and some increases will mean a rescan (if the option is selected). 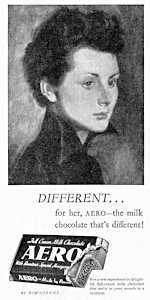 You can automatically select images or text on the page and send this to the OCR program included. 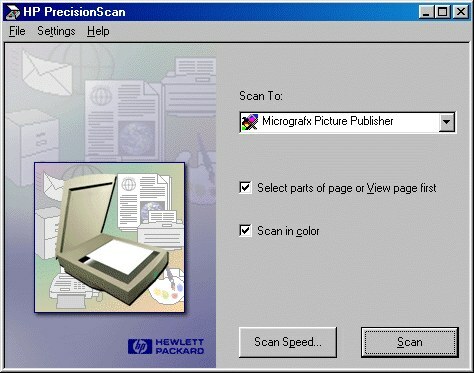 If you are scanning just an image, you can select the area and increase the size of the selection easily. With the first few scans I did have trouble with the colour from the scans, but after a while this disappeared. Most graphics programs include a scanner calibration program so you can adjust this if it becomes a problem (by automatically altering the brightness, hue or RGB levels after a scan before importing the picture). Overall I was happy with the scanner, but less impressed with the software. Certainly the initial install in safe mode is a problem that should be sorted, and presumably the retail version will not include a French CD-ROM of the software as well. The retail price for the scanner is around £200. Alternatives: Agfa 1212u SnapScan USB Scanner £170, Black Widow 9636 Pro £233 from Devcom, Microtek Scan Maker x6 £170.